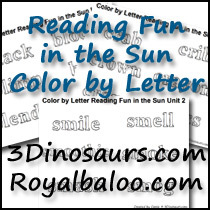 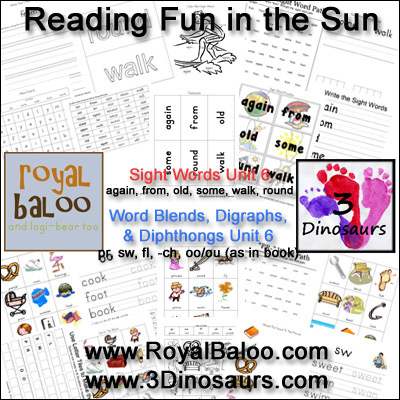 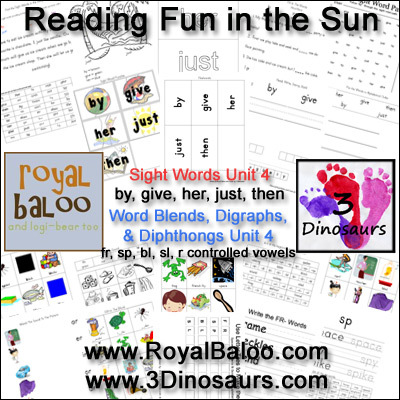 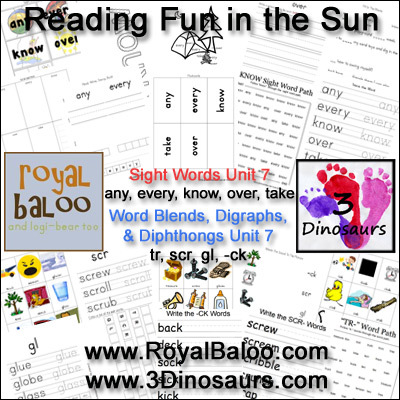 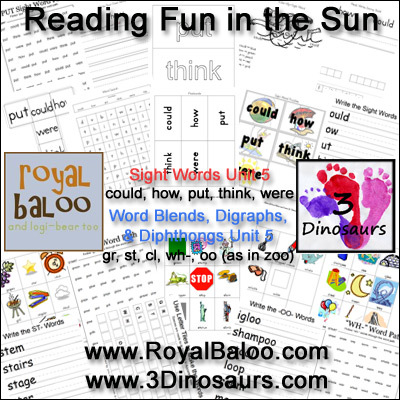 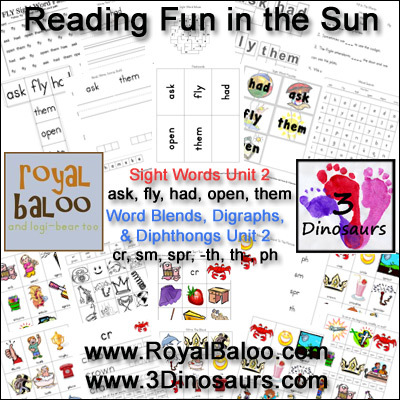 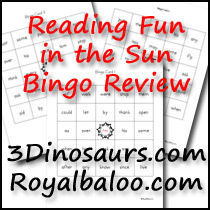 Reading Fun in the Sun is the combined work of Royal Baloo and 3 Dinosaurs. 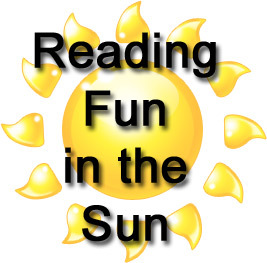 It will have a collection of 8 Units for the summer. 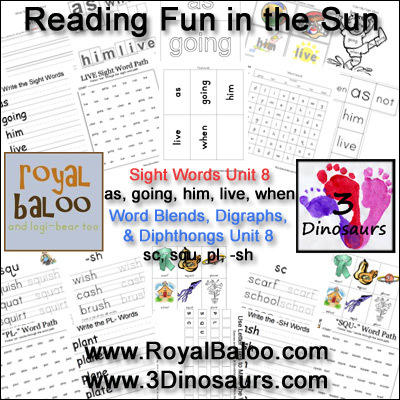 It has over 60 pages total activities for Sight Words, Word Blends, Digraphs, & Dipthongs. 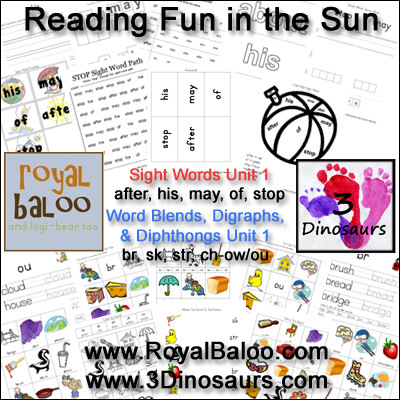 Word Blends, Digraphs, & Dipthongs contains some of the following: Beginning, middle, or end; color by sound, fill in the blank, matching, and tic tac toe.